Love of nature. Love of history. Good food. T&CO. at Mackenzie King Estate Tearoom is a little restaurant company that sits in the heart of the Gatineau Hills and former Prime Minister Mackenzie King’s country home. The love of nature and the love of good food allow us the luck to practice our craft in this elegant and culture rich place. Whether it is a glass of wine and lunch on our terrace or the traditional English tea service with a view of the gardens, we want you to come and enjoy the beauty of the surroundings. T&CO. is a fully licensed restaurant. Having fun outside on the Estate? Does your dog need a place to sit with you? Your kids need to be close as they run on the grass? Craving an ice cream? A simple drink? A sandwich? Café Pat is your answer. Press this link for hours of operation and menu! 11:30 to last service at 3:45 p.m. Private event requests at info@tandco.ca or at 819 827 9229 from 4pm until 6pm. Treat your mother - or ANY mother figure in your life to a fantastic Mother’s Day Celebration with the famous High Tea Service at the beautiful Mackenzie King Estate. Seatings at 10:30 a.m., 1:00 p.m., 3:30 pm. A tulip for each mother. A centuries-old tradition brought to you in nature. 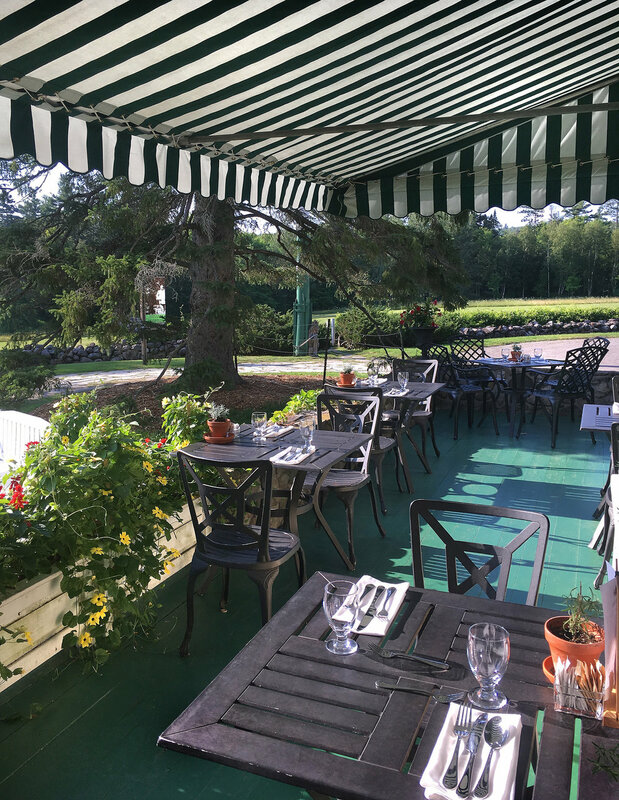 Imagine having finger sandwiches, house-made scones, pastries, jam and clotted cream served with a beautiful view - all day. Indulge yourself in afternoon tea with each and every item chosen for taste and quality. Served all day. 11:30 - last seating at 3:45 p.m. Please enquire about our selection of Champagne by the half bottle and sparkling wines by the glass to make your Tea Service even more special. We would like to encourage a no waste environment. Please inform your server if you would like the crusts on your tea sandwiches. Includes one 470mL pot of tea. one 700mL pot of tea. *Please ensure to reserve in advance with a credit card. You will be given a confirmation number. Due to closures of the Parkway for weekend activities or events sometimes GPS is not reliable and the parkway could be closed. Cellular phones can start to be dysfunctional once in the park so decide your route in advance and check the NCC website. Cross the Macdonald-Cartier or Portage bridge to Quebec. Follow signs for Highway 5 North to Maniwaki and take Exit 12, ‘Old Chelsea’. Turn left onto Old Chelsea Road and drive through the village. Turn left onto Chemin Kingsmere. Follow signs to the Mackenzie King Estate (P6) via the parkway. Head north on Champlain Bridge/Island Park. Take Boulevard Saint-Raymond, Chemin de la Montagne N and Chemin Notch to Chemin Kingsmere. Turn left and follow the directions above. Continue onwards on Chemin Kingsmere instead of turning right onto the parkway. Turn left on Chemin Swamp. Turn right onto Chemin Barnes. Turn left in 21 metres at first white gate. The tearoom is fully wheelchair accessible.